The 2017 World Series Champion Houston Astros are back with a bang to defend their title. Being part of the Opening Day experience on April 2 won’t be easy. But using this guide might help make your visit to a game a memorable one. 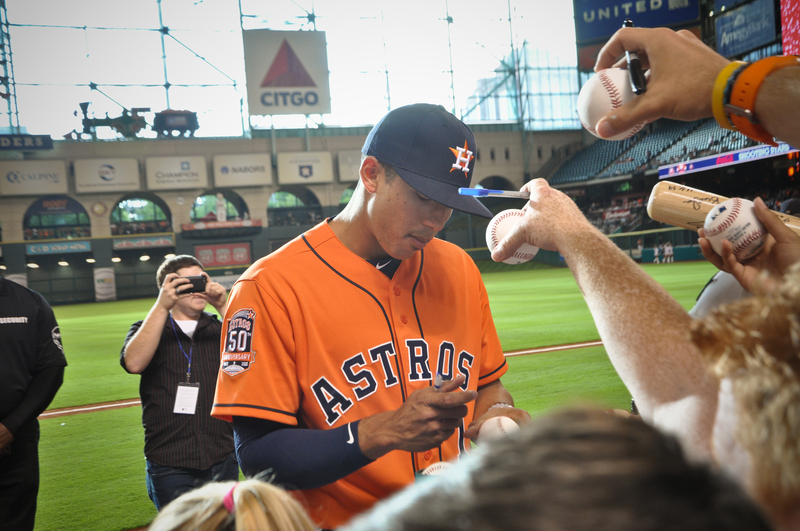 From April to September, fans flock to Minute Maid Park for baseball, food, and fun! 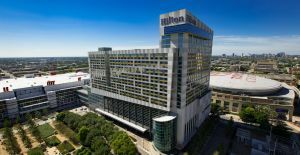 The venue is conveniently located in the heart of downtown’s Avenida Houston, next to the George R. Brown Convention Center. Along with exciting games, fans can also experience some of Houston’s world-class cuisine with restaurants and menu items from local chefs. 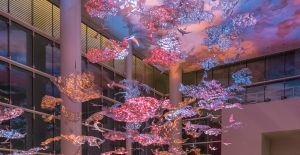 So, don’t miss this exciting Houston tradition while in town! Before every home game at Minute Maid Park, the Astros and visiting team take batting practice. Bring a glove and catch some free souvenirs as some of baseball’s biggest stars hit homers into the stands starting 2 hours and 25 minutes before game time. This is also the time when players often interact with fans and give autographs before preparing for the game. Just in case visitors don’t catch a baseball, there are multiple gift shops at the park overflowing with Astros memorabilia. Once the game is underway, the ballpark hums with excitement. 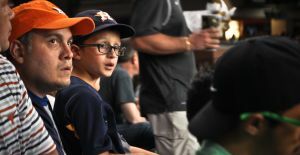 For restless kids, try visiting the Kids Zone at the northeast corner of the ballpark at the Right Field Entrance near Section 133 for activities, music, and even slushies! Who knows, there might even be a chance to meet Orbit, the Astros’ furry mascot that routinely makes his way around the stadium throughout the game. 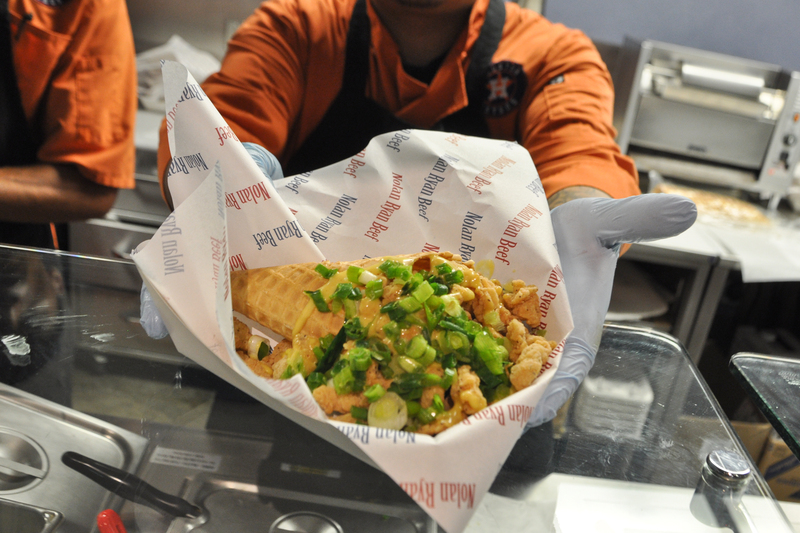 Minute Maid Park made national headlines at the beginning of the 2015 with its fried chicken and waffle cone. For the record, it is as good as it looks! The dish is part of a larger park-wide menu that infuses local flavors with a unique twist. New additions for this year include: Jackson Street BBQ (Section 124), Osso and Kristalla (Section 226) and DAT Creole (Section 102). 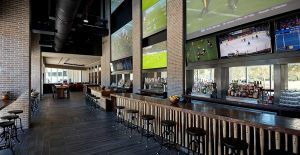 If eating at the stadium isn’t in the budget, within walking distance of Minute Maid Park are a handful of excellent dining options offering a great pre-game meetup or post-game celebration. 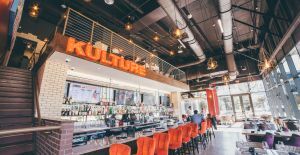 For the more upscale dining experience try Kulture or the nationally acclaimed Vic & Anthony’s Steakhouse directly across from the ballpark. 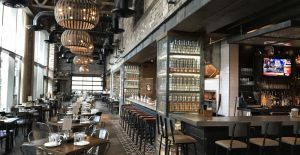 There’s also Jackson Street Barbecue offers mouthwatering BBQ served up Houston-style by acclaimed chef Bill Floyd of Biggios Sports Bar and Grotto. 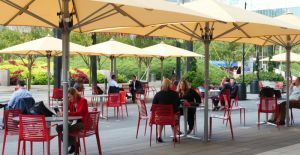 For more options take a short walk to Discovery Green for more of Avenida Houston’s dining options. Cheer on one of the best teams in baseball with thousands of other fans as they chase playoff hopes. 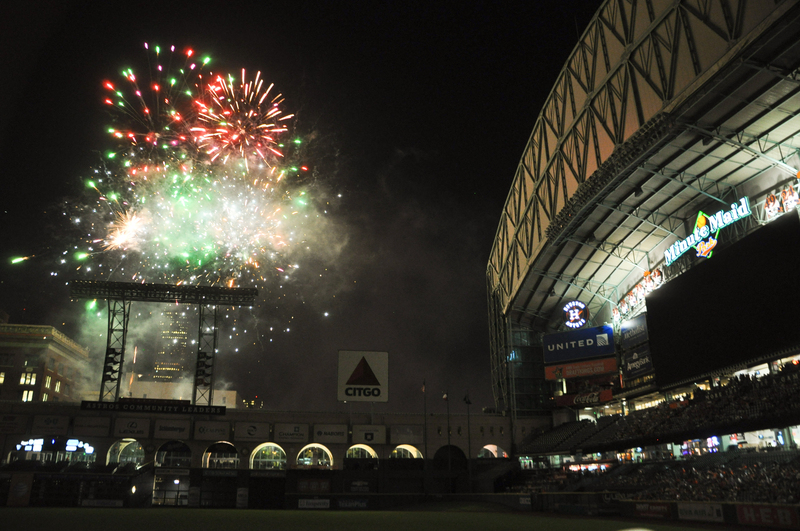 Each time a home run is hit by the Astros, the Minute Maid train blows its horn, shoots fireworks and chugs its way across the stadium wall towards Union Station. Originally called the Colt .45’s, the Astros changed names when they began playing at the famous Astrodome from 1965 to 1999. 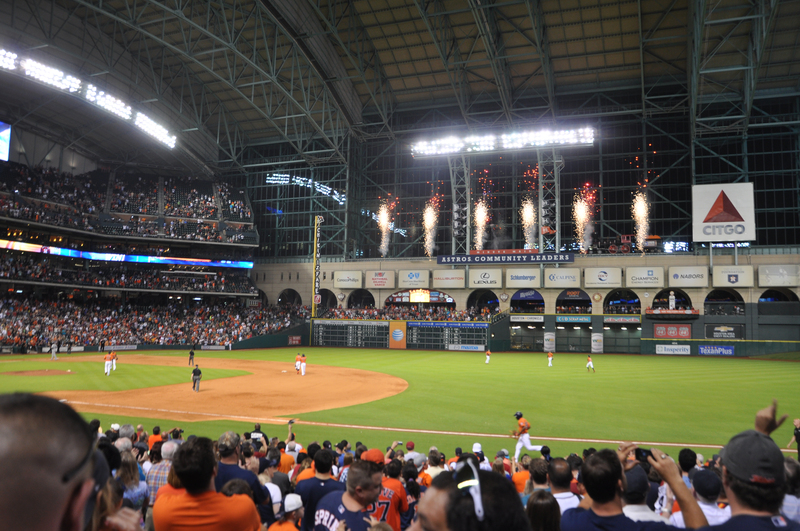 In 2000, Minute Maid Park became the new home of baseball in Houston. The park was built using pre-existing historical architecture such as the Houston Union Station terminal as a cornerstone. Free tours are available 3 hours before every home game time (except for Sunday games). Longer, more exclusive tours including the dugout and bullpen are available at 10 am and 12 pm for $14.25 from Monday to Saturday. Check out the 2017 World Series Champions - Houston Astros. 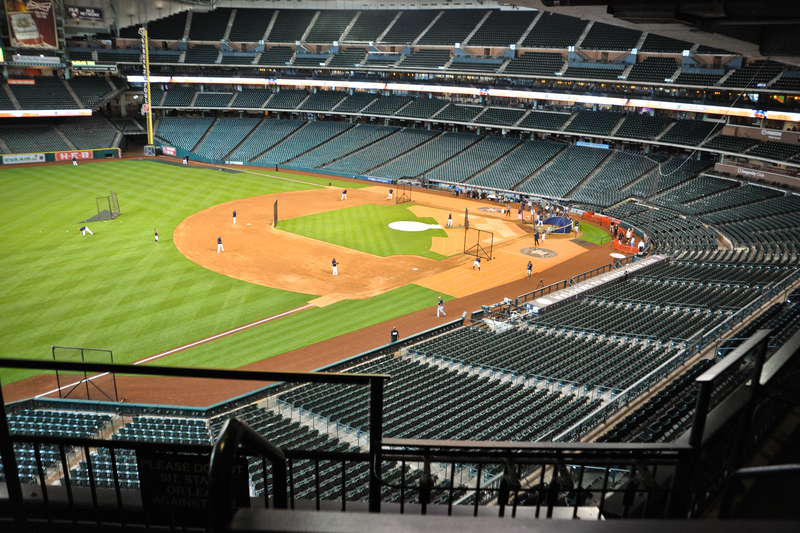 Head over to Minute Maid Park before a game to watch batting practice. Or, get some Astros gear from the fan shop to suit up and show team spirit. 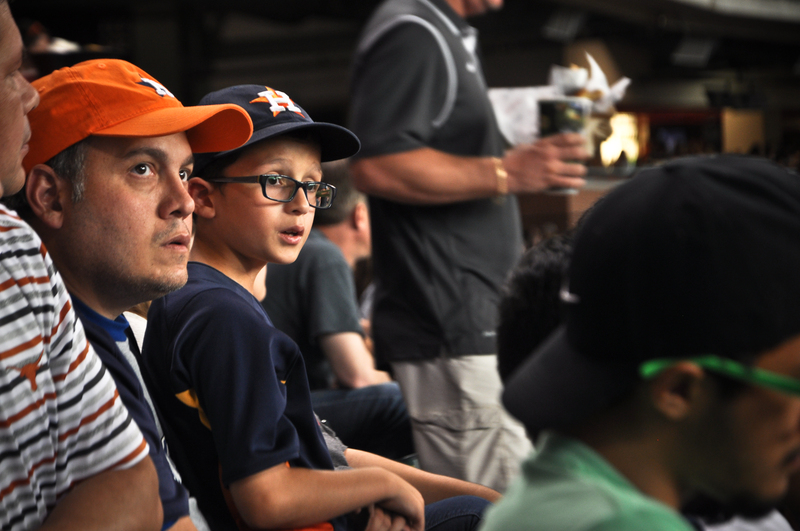 Click here to find out how to make your next Astros game an experience. 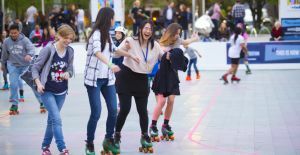 Questions on where to park or how to get to the game without a car? 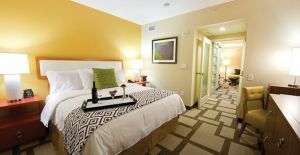 Check out: Avenida North Parking Garage (a two-block walk to the ballpark) or METRORail. April 2 vs. Baltimore: All fans receive a 2018 schedule magnet. April 6 vs. San Diego: First 10,000 fans receive a replica World Series trophy. April 7 vs. San Diego: First 10,000 fans receive a replica World Championship ring. April 8 vs. San Diego: First 10,000 fans receive a commemorative World Champions poster. April 14 vs. Texas: First 10,000 fans receive a George Springer World Series MVP bobblehead. April 28 vs. Oakland: First 10,000 fans receive a Jose Altuve AL MVP bobblehead. April 29 vs. Oakland: First 10,000 fans receive a World Series Champions tote bag. May 12 vs. Texas: First 10,000 fans receive an Astros floppy summer hat. May 13 vs. Texas: First 10,000 fans receive an Astros infinity scarf. June 22 vs. Kansas City: First 10,000 fans receive an Astros fedora. June 24 vs. Kansas City: First 10,000 fans receive an Astros Marvel Super Hero Lithos comic poster. ​Sept. 23 vs. Angels: First 10,000 fans receive a 2018 Astros team photo/2019 Astros schedule poster. 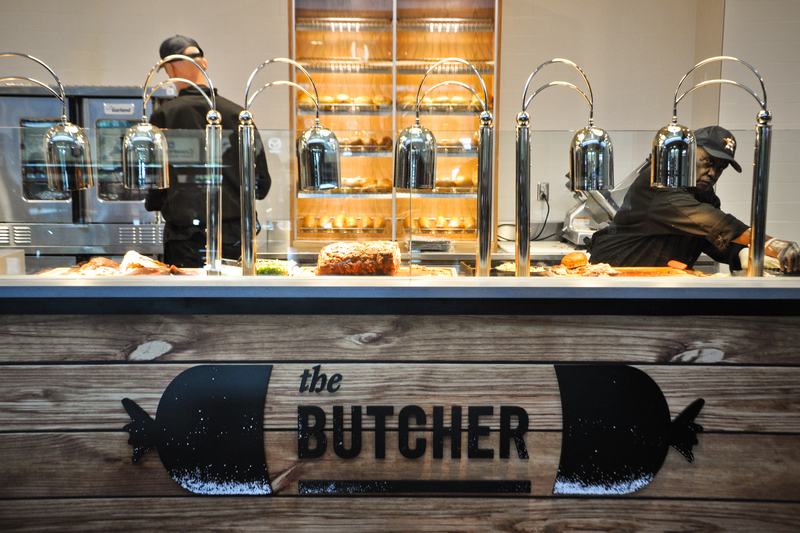 The Diamond Club offers some of the most luxurious ways to watch the game. 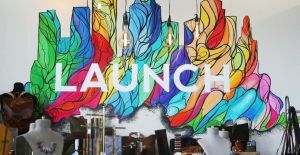 Start the game day experience off with fine dining in a private lounge with a menu created by celebrity chef Bryan Caswell and executive chef Tori Bergersen. 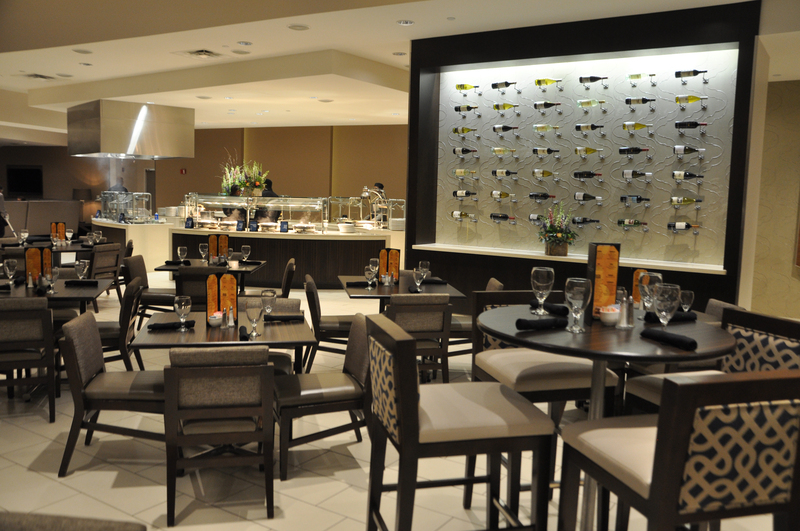 Enjoy all the gourmet food one can handle and finish up with a fully stocked candy and snack bar. A top-shelf fully stocked bar is available as well. With cushioned game seats right behind home plate, it doesn’t get much better than this! Minute Maid Park also features a number of other club level seating options including executive suites. For fans that drive Mazda-made cars, show up early to the game and park free in exclusive parking at Lot C. Then, proceed to show your Mazda key to gain access to the exclusive Mazda Club Level. 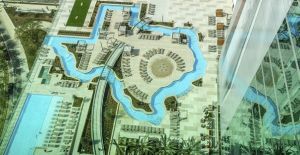 The area features unique restaurants, private bathrooms, and great views of the field. 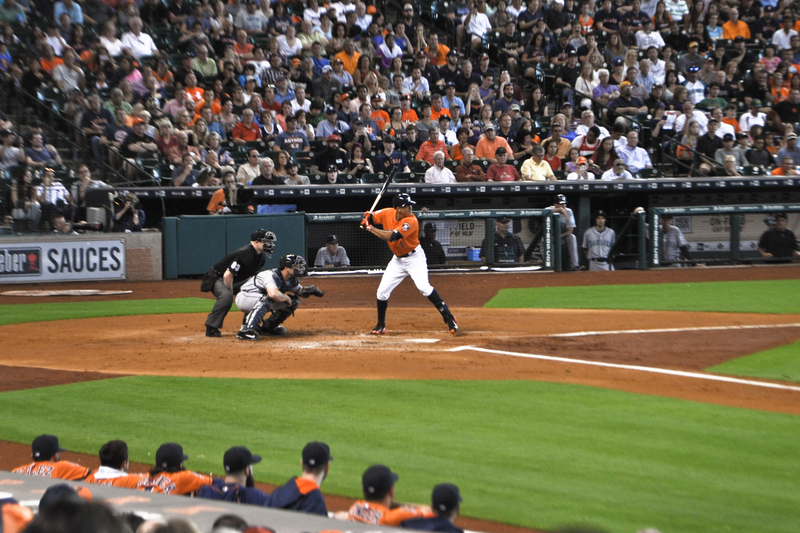 Minute Maid Park can be used for a variety of other events besides baseball games. Book engagement or wedding photos, family portraits, or business events for days when the stadium isn’t being used. 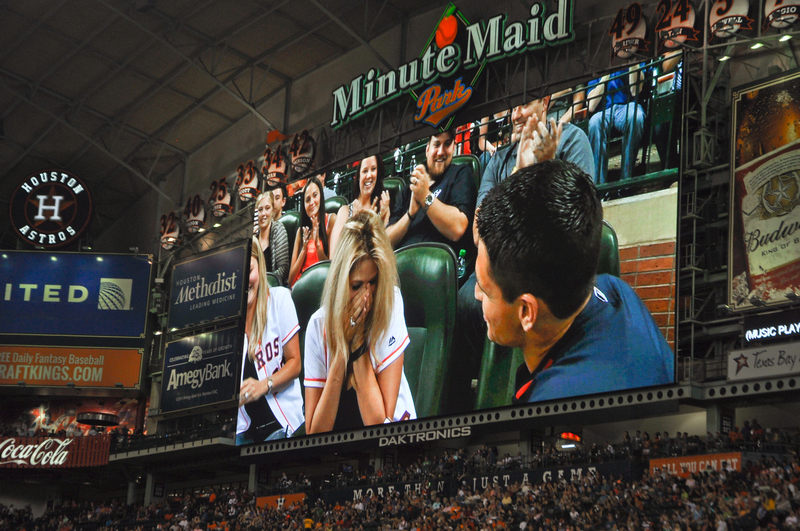 You can even purchase space during a game to pop the big question!